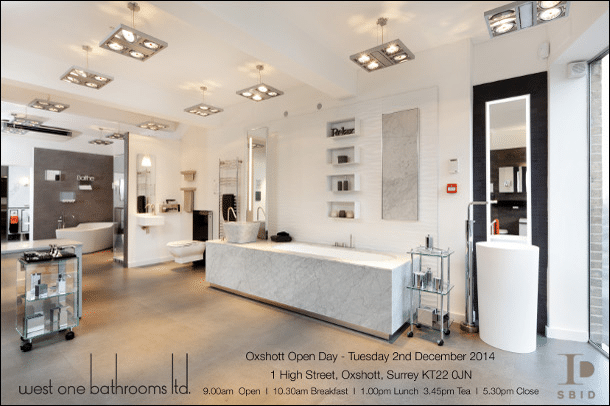 As Europe’s most illustrious and innovative supplier of bespoke bathrooms, SBID member West One Bathrooms are delighted to invite you to their Oxshott showroom for a Christmas Open Day. Whilst showcasing a range of luxury products, breakfast, lunch and afternoon tea will be served throughout the day. Please come along to grab a goody bag and have a chat with their team of industry-renowned designers about what it takes to create a dream bathroom.